TNPSC CCSE IV Notification 2017 – 2018 details. 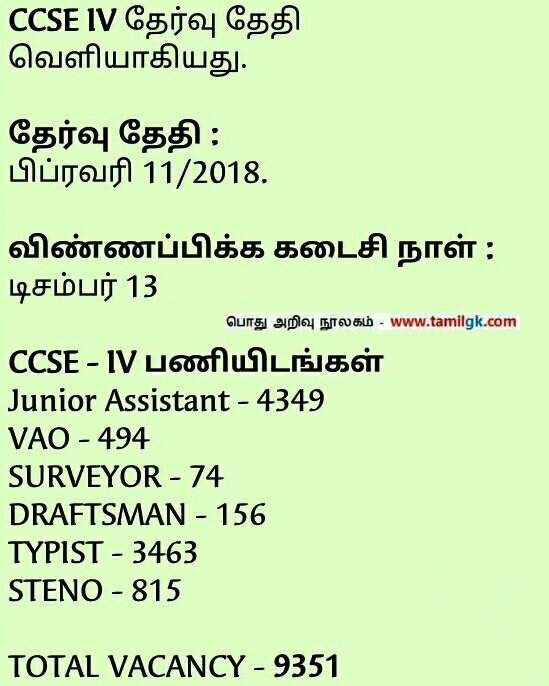 Recently Tamilnadu Public Service Commission has made announced that the merging of Group 4 and VAO exams. 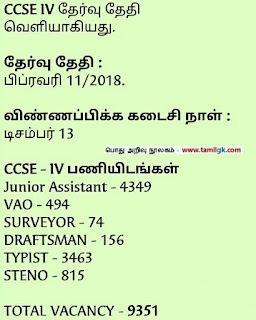 They clearly said, hereafter no separate exam for TNPSC Group 4 and VAO Exams. The two exams will be contacted as a single exam which will be called as Combined Civil Services Examination 4 (CCSE-IV). Aspirants can select the favorite job at the time of counseling.